The journal “Social Pharmacy in Health Сare” is a scientific professional publication in the field of pharmaceutical and medical (social medicine) sciences. The magazine was founded by the National University of Pharmacy in 2015 and is issued in print (Print ISSN: 2413-6085) and electronic (Online ISSN: 2518-1564) versions. 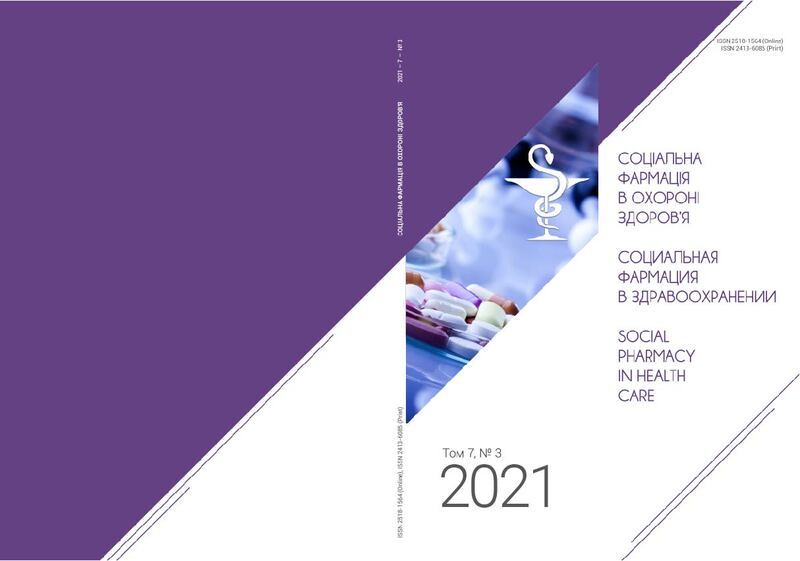 By the decision of the State Attestation Commission, the journal “Social Pharmacy in Health Сare” is included in the List of scientific professional editions suitable for publication of the main scientific results of dissertations by applicants of scientific degrees and studies of applicants for the assignment of academic titles in the following specialties: 15.00.01 “Drug technology, pharmaceutical business and judicial Pharmacy” and 14.02.03 - “Social Medicine”. Invite you to participate in V international scientific and practical internet conference «Social pharmacy: state, problems and perspectives», which will be held in April 25-26, 2019 the conference website is: http://socpharm.nuph.edu.ua/. The conference is included in the Register of conventions, congresses, symposiums and scientific practical conferences, which will be held in 2019 (registration certificate of Ukrainian Institute of Scientific and Technical Expertise and Information №733 of December 26, 2018).